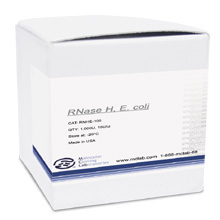 RNase H is an endoribonuclease that degrades the RNA strand of RNA/DNA hybrid molecules. 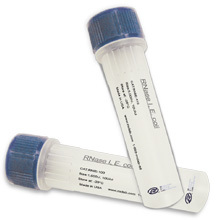 Ribonuclease III (Rnase III) is an endoribunuclease that cleaves double-stranded RNA, resulting in 12-15 bp dsRNA fragments with 2-base, 3’-overhangs, and 5' phosphate and 3' hydroxyl termini. 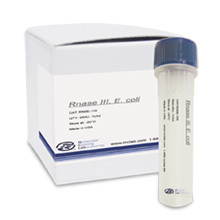 RNAse Inhibitor is an acidic, 52 kDa protein that is a potent non-competitive inhibitor of pancreatic-type ribonucleases such as RNase A, RNase B, and RNase C.
RNase R is an E. coli exoribonuclease which exhibits 3' to 5' exonuclease activity, efficiently digesting nearly all linear RNA species. 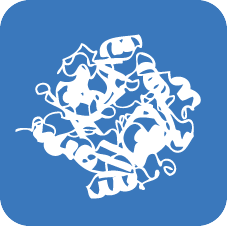 This enzyme does not digest circular, lariat, or double stranded RNA with short 3 overhangs (less than seven nucleotides). 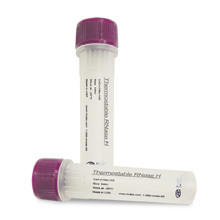 Thermostable RNase H degrades the RNA strand in RNA-DNA hybridshas, it has an optimal activity above 65°C and can be used up to 95°C.